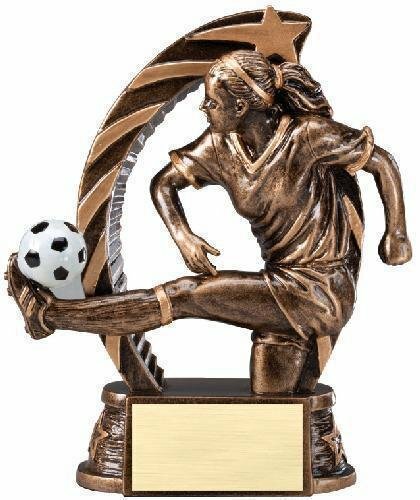 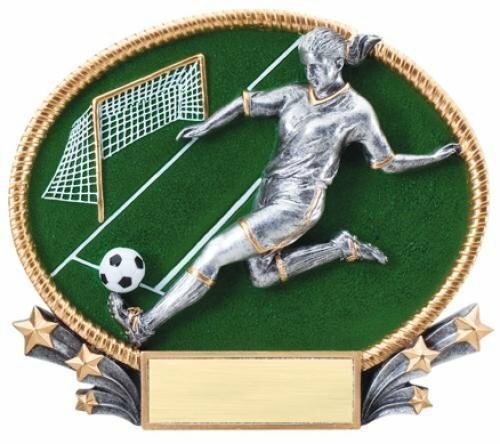 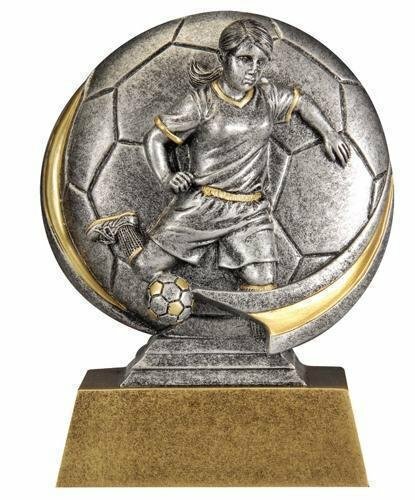 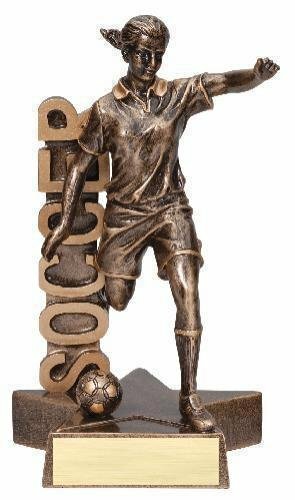 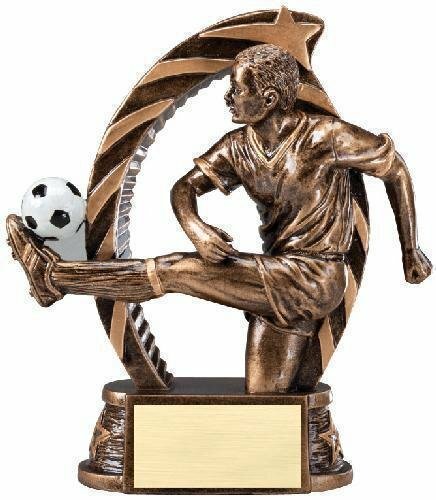 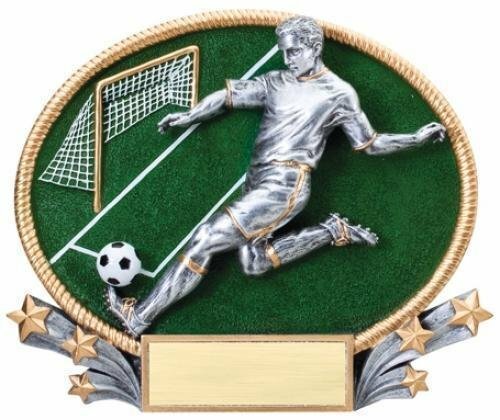 This Billboard Soccer Trophy (Male) is mounted on a star base. 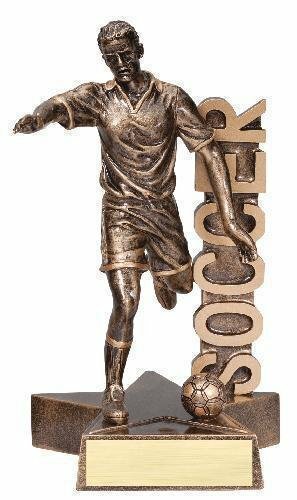 The soccer award comes with a brushed gold laser engraved plate. The Soccer Gallery resin is an elegant award choice. 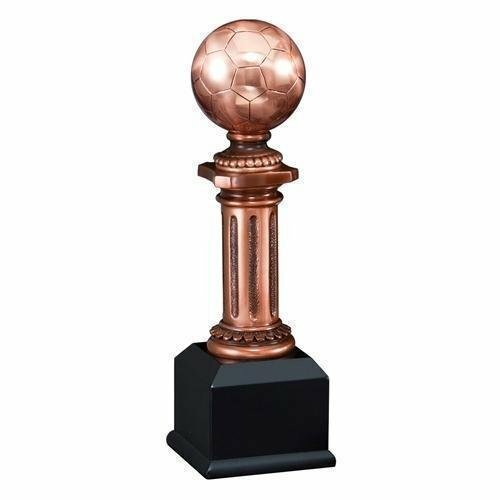 The trophy has a brushed copper laser engraved plate with black letters. 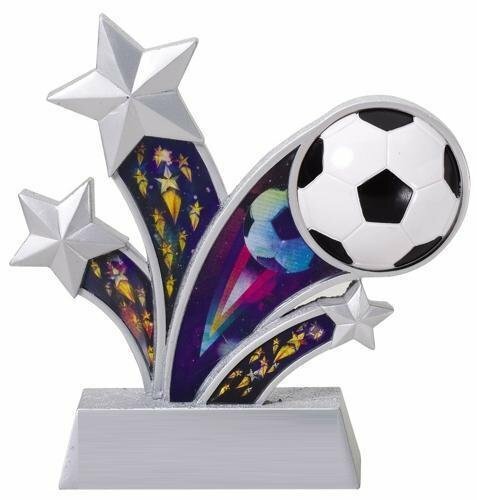 The Soccer resin has delightful holographic star accents. 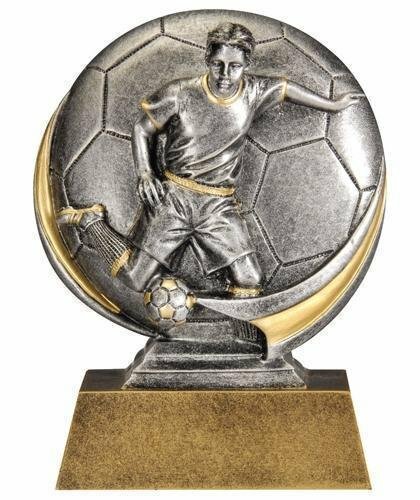 The trophy includes a brushed silver plate with up to 3 lines of black engraved letters.